Bakers Delight is now selling FODMAP Friendly bread. It is the first certified FODMAP Friendly bread loaf which is freshly made in bakery every day. The Low FODMAP diet is often suggested to those experiencing digestive issues and requires the elimination of certain foods including many types of bread. 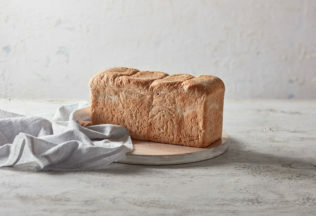 Dietitian and Executive Consultant at FODMAP Friendly, Joanna Baker, said the Bakers Delight Wholegrain ‘Lo-Fo Loaf’ is a breakthrough for those suffering from FODMAP intolerances. “Bread is an important part of any healthy, balanced diet and there are many health benefits associated with wheat,” Baker said. The Bakers Delight Lo-Fo Loaf has been tested for appropriate levels of FODMAPs. It is available now from Bakers Delight stores across Australia. The recommended retail price is AUD $6.30 per loaf. A range of “slow-cooked” Herbert Adams pies has been launched at Woolworths supermarkets.